If you know me at all you know that I love a theme or a reason to celebrate. I am not sure if anyone knows this as well as the roommates I’ve had over the years. 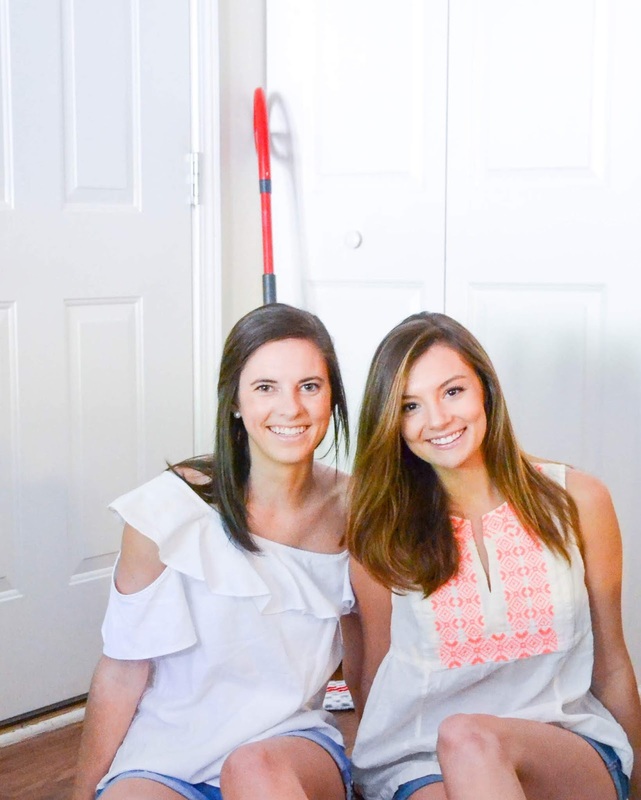 From celebrating my very first roommate, Nell, picking a major with cookie cake and sparkling cider, to hosting a Do-Over de Mayo just because my roommate and I weren’t both in town for Cinco de Mayo this year, they have been around for it all. Conveniently enough, O-Cedar®, the leader in innovative floor care, has declared today National Roommate Appreciation Day. In true Dorothy fashion, I cannot help but celebrate not only with my roommates but also with y’all. Having attended summer camps as a child, roommates (or cabin mates at that point) were always an exciting concept. Fortunately, that mentality did not change as I went into my freshman year of college at Furman. I have been so lucky to have roommates that have also been some of my best friends. Some of those relationships began strictly as roommates and some started as friendships that were strengthened by opting to live together. However, I know that not everyone gets quite as lucky. 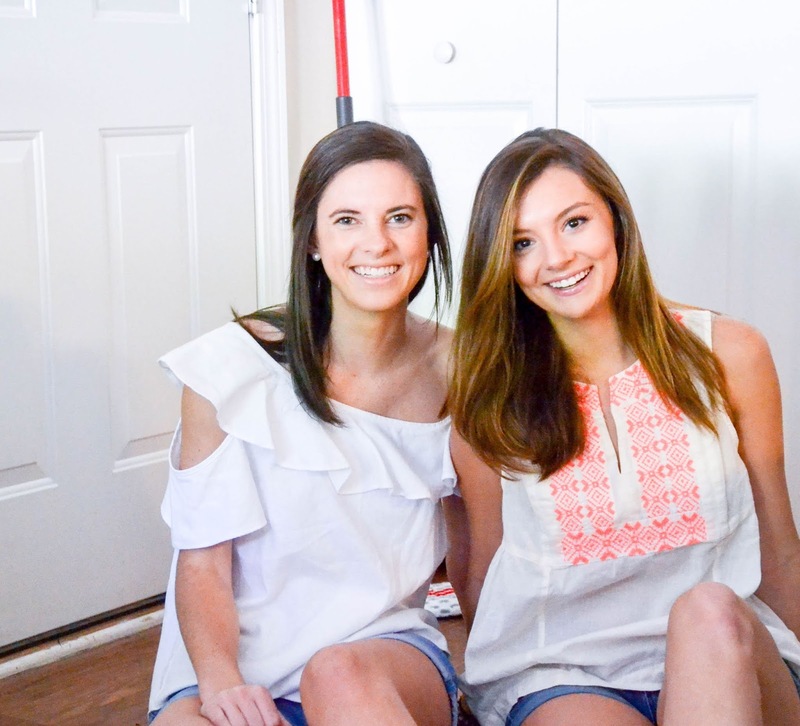 In honor of the declaration of June 6th as National Roommate Appreciation Day, O-Cedar® is celebrating roommates all month long with the launch of the Ultimate Roommate AppreciationSweepstakes and their easy to use Roommate Agreement. 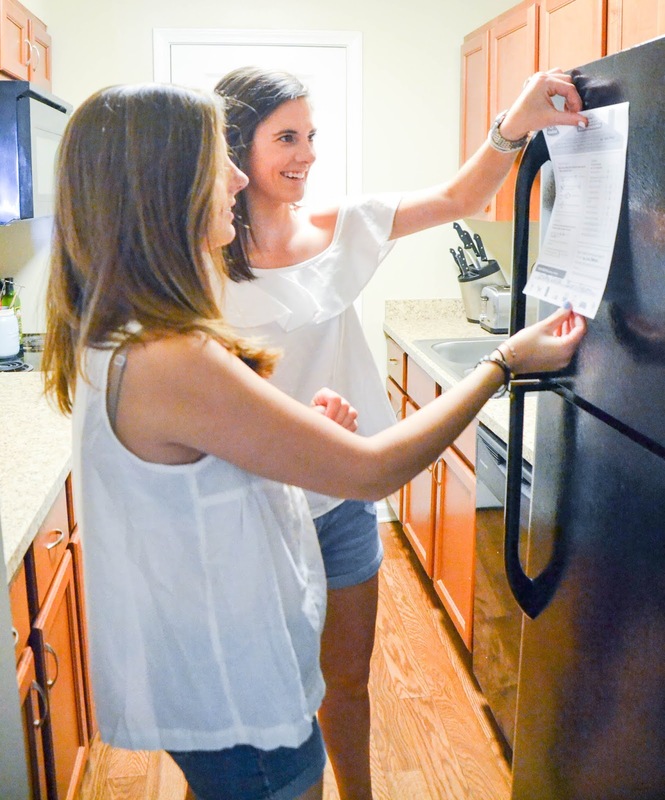 When determining a roommate before freshman year of college, Furman had all incoming students fill out a survey based on their interests, room preferences, and personalities. 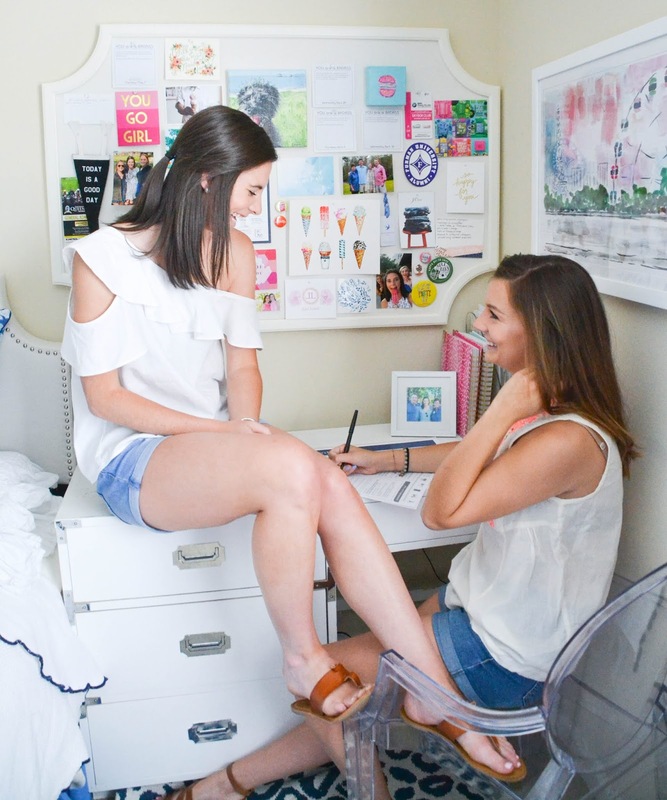 Each year of college, you were expected to sit down with your roommates to complete a Roommate Contact or Agreement to establish your living expectations before any problems arose. 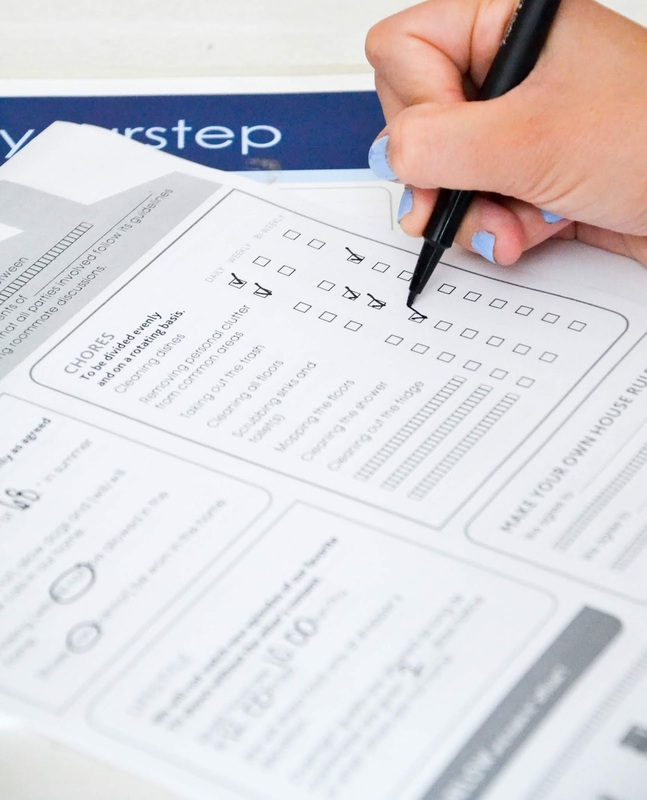 While some people didn’t take these as seriously, I think that filling out the Roommate Agreement each year helped my roommates and I to better understand one another’s preferences and avoid issues. 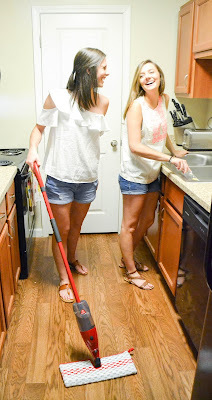 I found over the years that many disagreements between roommates generally occur because of different expectations when it comes to living together and keeping up with responsibilities in your living space. Now that I live off campus in an apartment without RA’s encouraging my roommates and I to fill out an agreement it can be a bit trickier to understand their preferences without this kind of agreement. 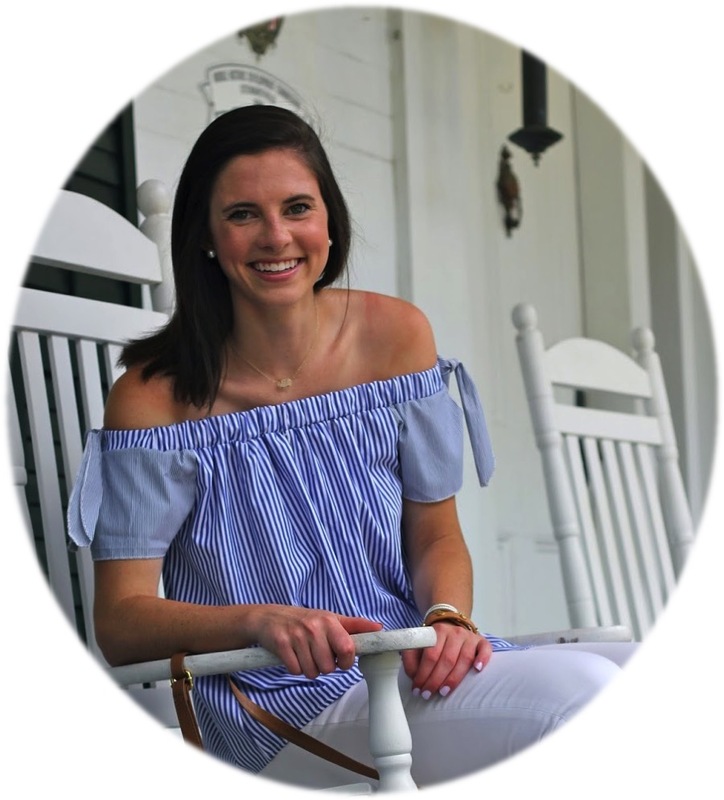 With jobs and lives outside of school and our apartment, cleaning and dealing with general maintenance of our apartment is often the last thing we want to deal with when we get home. For this reason, my roommate Ellison and I decided to sit down and complete the O-Cedar® “Makes Your Life Easier” Roommate Agreement. Since we have already lived so well together, we knew that completing this will only continue to make our lives easier. Fortunately, the roommate agreement is easy to download and self-explanatory to fill out and will surely help to put some house rules in place. 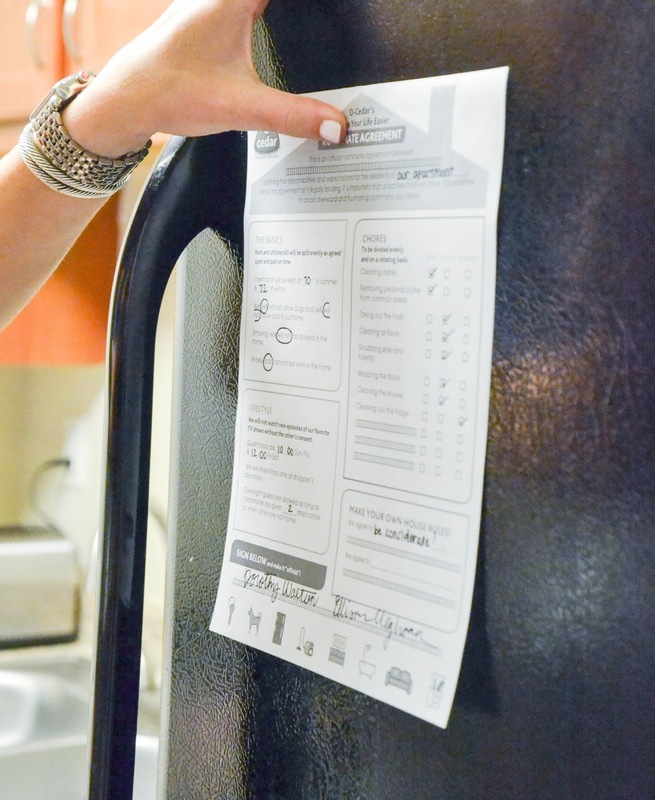 Once we finished our agreement, we decided that keeping it on the fridge where it is always in view would help to remind us to do our part. Having cleaning supplies ready to go when we need them has also helped us to make sure that we can complete our tasks in a timely manner. Fortunately, I love cleaning (so much so that in college my friends would occasionally call me Monica Geller) so having some new tools certainly encourages me to do my part. O-Cedar®’s ProMist Max Spray Mop has made tasks like cleaning our bathrooms, kitchen, and entryway floors quick and painless. 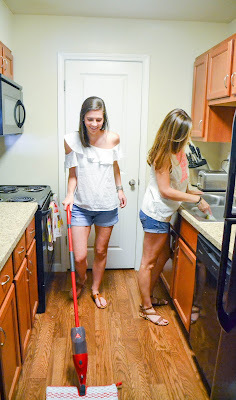 It has a dual-sided mop head that flips over, making it super easy to clean a lot of floor space quickly, and is machine-washable– super eco-friendly! 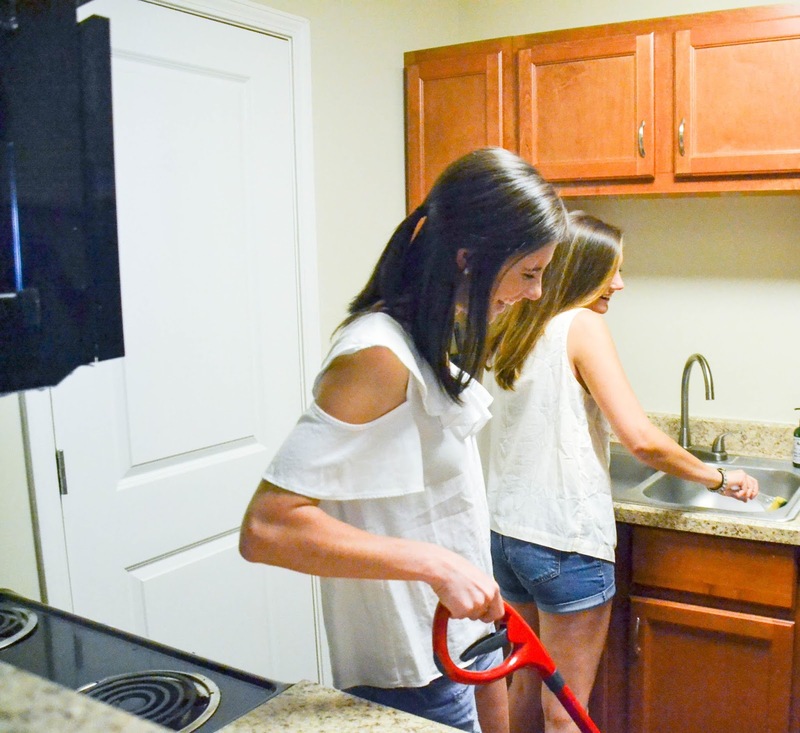 I know not everyone loves cleaning quite as much as I do I have found that cleaning with your roommate can make it a lot more fun and serve as a great bonding experience. Before dreading the idea of cleaning check your completed Roommate Agreement and put on a fun playlist (our favorites are this Cleaning Oldies Playlist and the Hairbrush Microphone Days Playlist) to make things more fun before getting to work. You will be surprised by how much you can accomplish in a short period of time and the fun you didn’t know you could have while cleaning. 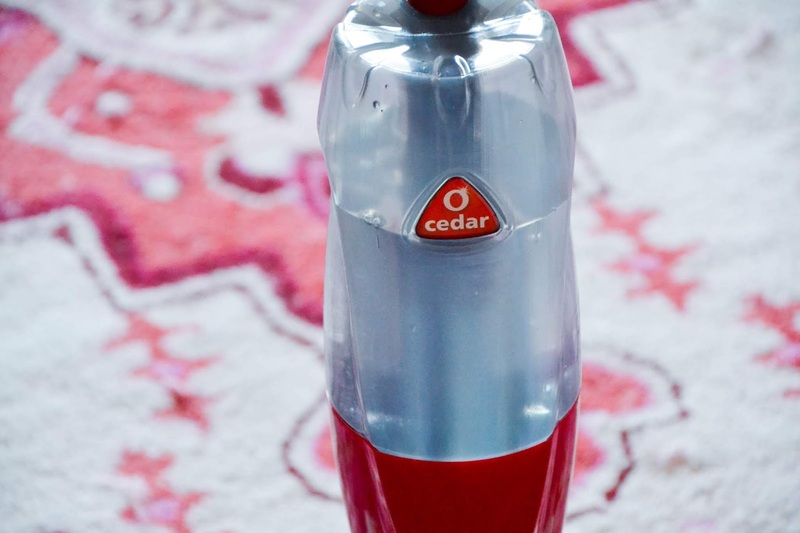 If you’re not motivated enough yet to get started cleaning your space, then O-Cedar®’s Ultimate Roommate Appreciation Sweepstakes should do the trick. This $5,000 prize includes $2,000 to help cover expenses like rent or housing expenses, a $1,500 Amazon gift card, $500 gift cards for meal delivery, laundry/dry cleaning and video streaming services, and an O-Cedar® product bundle to help keep your home sparkling clean all year long. Just for entering the Sweepstakes, O-Cedar® will give you a $5 coupon for the ProMist® MAX Spray mop – the perfect tool for you and your roommates to get to work cleaning as determined in your Roommate Agreement. You can enter the sweepstakes all month long and can download your own Roommate Agreement at www.promistmax.com/roommate! 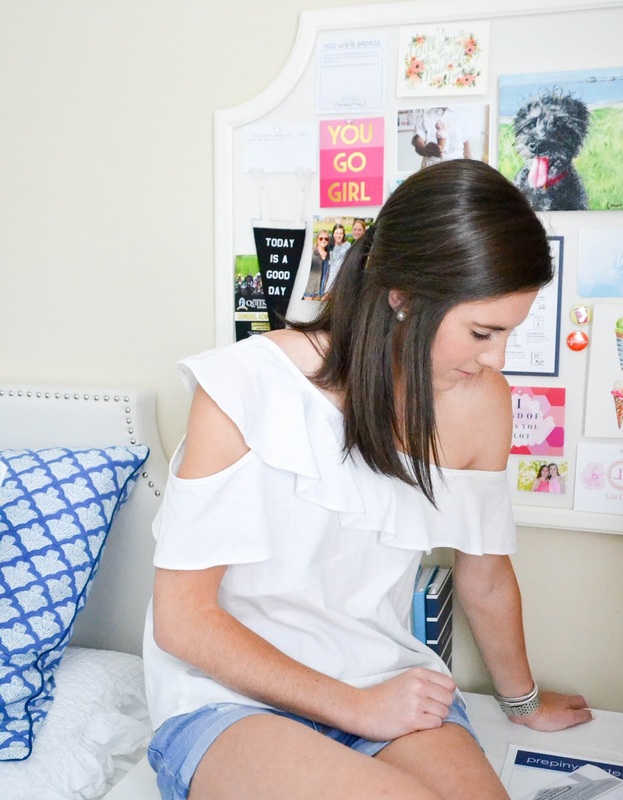 If you’re looking for other ways to be a great roommate I’ve included some of my previous posts on the topic for you below! These photos are so cute! And I love the idea of an agreement, super helpful! That roommate agreement idea is so cute! Thank you for sharing!